Following its enormously successful annual international conference and exhibition, this year held in Nottingham, U.K. early June, euspen is pleased to announce two more events of critical interest to the precision engineering sector. The first is a Special Interest Group on Structured and Freeform Surfaces, 9-10 November 2016 to be held at the Technical University of Denmark (DTU) in Copenhagen. The ability to deterministically alter the topographic structure of a surface can have a profound effect on how that surface functions. Whilst much of the work in this area is at the research stage, the number of products that include some form of surface structure control is growing rapidly. Structured and freeform surfaces have numerous applications ranging from optics to automotive, from aerospace to biomedical, and from micro-fluidics to power generation. The key feature that determines a structured or a freeform surface is that its topography is not just an artefact of the process used to generate the surface, i.e. it has been engineered for a specific function. Thus, for a structured surface, typical parameters such as Ra do not adequately characterise its properties. A freeform surface can have a topography that significantly departs from a standard geometric element and thus conventional metrology methods tend not to be adequate. For these reasons, such surfaces are a challenge to manufacture and to measure However, their function is by definition profoundly affected by their geometrical characteristics. Freeform surfaces are widely manufactured nowadays, generally using 3 or 5 axis CNC milling machines. The manufacturing process for freeform surfaces is not an easy job as the tool path generation in present CAM technology is generally based on geometric computation so is not optimised for freeform surfaces. Also, the geometry cannot be described explicitly, so the occurrence of errors and discontinuities in the solid structure cannot be avoided. The scale of both the challenge and the opportunity provided in the area of structured and freeform surfaces, has led euspen to organise a coordinated meeting to address this seminal topic. 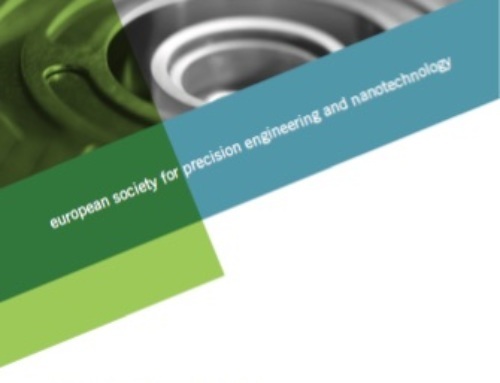 Supported by leading industry and research institutes alike, euspen’s meeting will focus on the technology, needs, and design of such engineered surfaces with special focus on replication techniques, the effect of structured surfaces on function, large-scale surface structuring, and surfaces for nano-manufacturing and their metrology. March 15-15 2017, euspen turns its attention to its series of events looking at Laser Metrology, Machine Tool, CMM & Robotic Performance (LAMDAMAP). The 2017 LANDAMAP event will be hosted at Renishaw’s Innovation Centre, Wotton-under-Edge, U.K. The LAMDAMAP conferences were launched due to a recognition of the fact that manufacturers need to stay ahead of the competition by adopting the latest advances in equipment, software, and processes. In addition, machine tool makers must continuously innovate to provide their manufacturing customers with more accurate and more productive equipment. It is vital that greater and greater levels of productivity are achieved in today’s global market place, and enhancements must be introduced to support ultra precision applications. The aim of the LAMDAMAP conference series is to present the latest technology for assessing the performance of machine tools and also measuring machines. 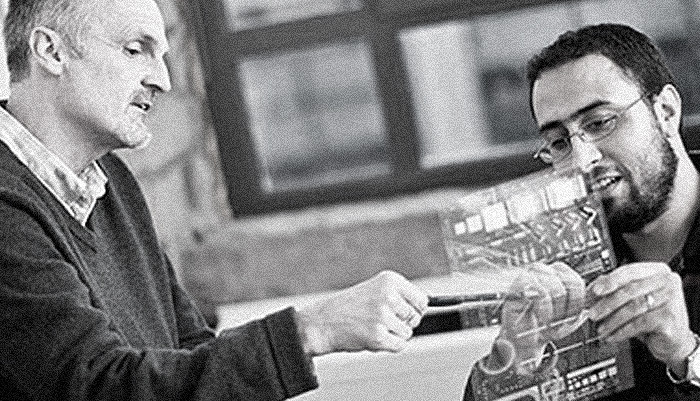 LAMDAMAP also seeks to promote collaboration between researchers, designers, machine builders and end-users. Research and developments that improve machine performance along with calibration, certification, and standardization are addressed at the conferences. LAMDAMAP brings together machine tool manufacturers, measurement and control specialists, plus process engineers to share critical developments, and provides comprehensive up-to-date know-how concerning instrumentation, technologies, and engineering for production of the most advanced products. The March 2017 event includes a conference, exhibition, and poster sessions looking at all the most critical areas to address when optimising machine tools and related metrology technologies. Attendees will be able to access information and networking opportunities to discuss new developments in measuring techniques, novel manufacturing technologies and machine tools, performance evaluation for machine tools and CMMs, roughness and machine tool standards, additive manufacturing and associated metrology, and metrology for roll-to-roll manufacturing. The entire premise behind euspen is the hosting of networking opportunities, and the LAMDAMAP and Structured and Freeform Surface events provide the optimum forum for academics and industrialists alike to meet, discuss, and further the advancement of technology solutions in the precision engineering sector. If you wish to enquire about euspen or either of these events, please contact Dishi Phillips on tel: +44 (0) 1234 754023 or email dishi-phillips@euspen.eu.